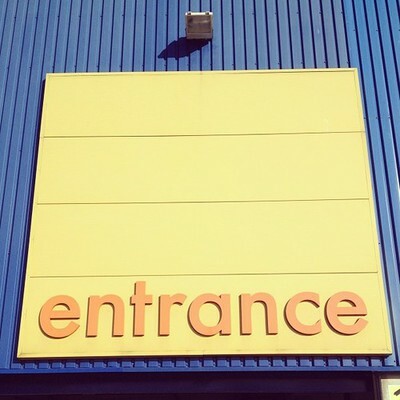 If you ever are at a loose end, any day of the week, why not try a trip to IKEA Wednesbury. Not only for all the furniture and accessories they sell, but a visit to their excellent restaurant. The furniture and accessories are arranged in beaut tempting settings, from bedrooms to bathrooms, and even the office at home. I usually find myself wanting one of each of the rooms, they display them so beautifully. I can see me browsing recipes in the lovely kitchens, and falling asleep in the bedroom settings. I do have a few pieces of their furniture, including a bed, and I've found them very well made, and easy to put together. Even if you're not after any furniture they have, from a very low price, all kinds of equipment for each room: some beautiful rugs, bed linen, curtains (and the material to make your own), blinds, cushion covers (if you want to make your own you can); they sell tea light holders and candles; mugs, plain and pattered to suit all tastes; even rubber gloves and a lot of which is cheaper than a lot of supermarkets. The mirrors, well, I didn't know where to look (excuse the pun) - they have so many starting from mirror tiles upwards, to round, square, oblong, with or without frames – something to suit everyone. It is the ideal place to visit before moving away for Uni, you can kit a room out with a modern look without breaking the bank. They also have lovely children's beds with matching wardrobes, and chests drawers that look like something from a cartoon. I would've loved something like that when I was little. And they also sell all kinds of soft toys too. Then there are the paintings; from flowers to cities. 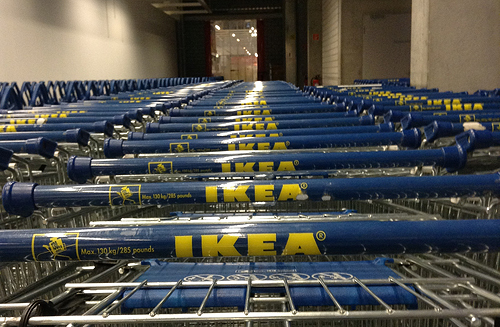 Basically you could furnish a whole house from IKEA. 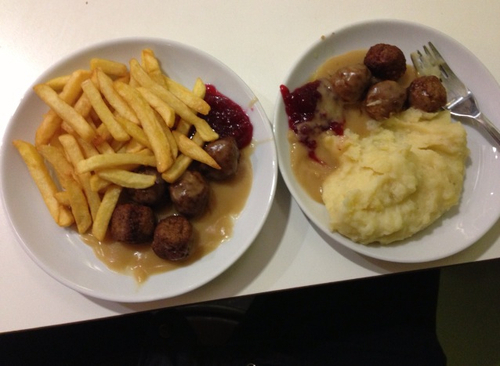 If that gives you an appetite you're in the right place – food is very reasonably priced and the meatballs with the unique gravy and chips or mash with a fruity sauce on the side are amazing. And for vegetarians, the pancakes with cheese and spinach are delicious. If you have room they have a great selection of desserts: the Diam cake is a cake version of the Daim chocolate bar. You can get an IKEA family card for free and get a discount on some items, and you get free hot drinks Monday to Friday, you just get a cup and refill as many times as you like: tea, coffee, hot chocolate, and with a free car park you can't go wrong. So, even if you don't want to buy, just browse and treat yourself to coffee and cake (or tea and hot chocolate), and you only have to pay for the cake if you're a member. So while the weather is not right for a day outside, try one inside IKEA. When: Mon - Fri: 10am - 10pm.